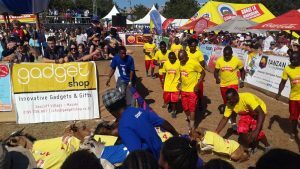 Every year the people of Dar es Salaam organise the Goat Races. It is a massive fundraising event where teams can purchase a goat which then participates in the races. 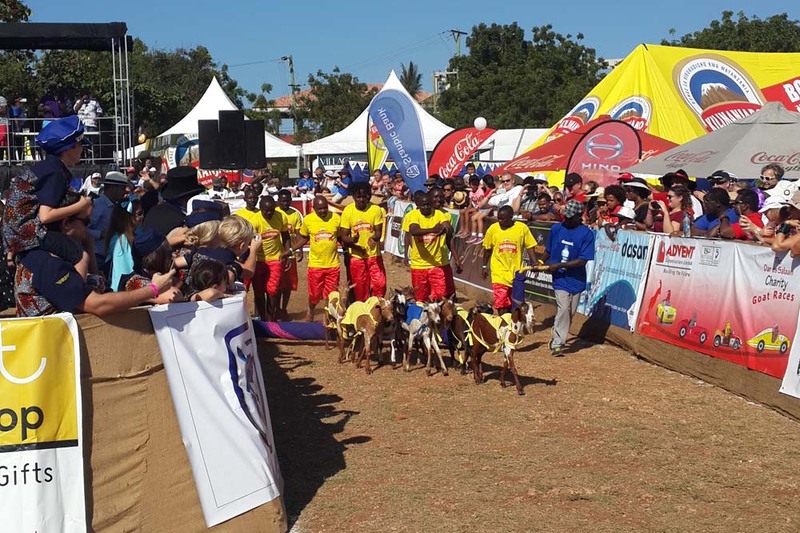 Each of the six races is sponsored by one or more companies and around ten goats participate in each race. The teams who buy goats are usually dressed up, and when their goat races, they are allowed into the inner circle to cheer on their goat. 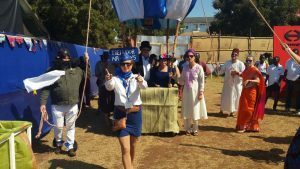 They have been going for 17 years, but, due to some political issues, this was going to be their last and we didn’t want to miss it. 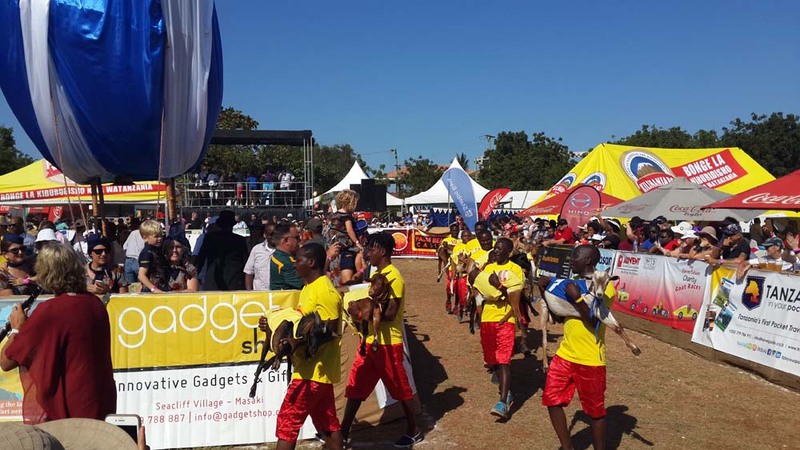 Where else in the world can you attend goat races and support the local charities at the same time? The theme of this year’s Goat Races was ‘Let’s goat around the world’. And we would be raising funds for 11 charities, including Sea Sense who protect sea turtle nests and try to educate children, fisherman and councilors of the coastal villages. Betting on the goats is of course encouraged, as well as drinking, eating and buying raffle tickets, all in the name of fundraising. The raffle has some excellent prizes, but unfortunately we didn’t manage to win any of them. After seeing the goats being carried into the race track, they usually don’t want to walk with their handlers, it is quite a noisy spectacle to see them race. Not only do they cheer on the goats, they also cheer on the guys who are herding the goats in the right direction. Unlike other animals used in races, goats don’t run, they need to be ‘pushed’ towards the finish line and a specially designed pipe wrapped with cloth held low is used to ensure no goat escapes backwards. The whole race lasts about a minute or so, so you need to make sure you are there on time as you’ll miss it otherwise! We watched a few of the races, unsure who had won, and left with lighter pockets, happy we had contributed to some worthy causes.